Hannspree Ten Kate Honda's World Supersport rider Michele Pirro has been forced to miss the forthcoming Silverstone round of the World Supersport championship on 1st August. The 24-year-old Italian crashed heavily during round nine of the series at Brno in the Czech Republic last Sunday, sustaining a fracture to the bridge of his nose and a dislocated wrist. 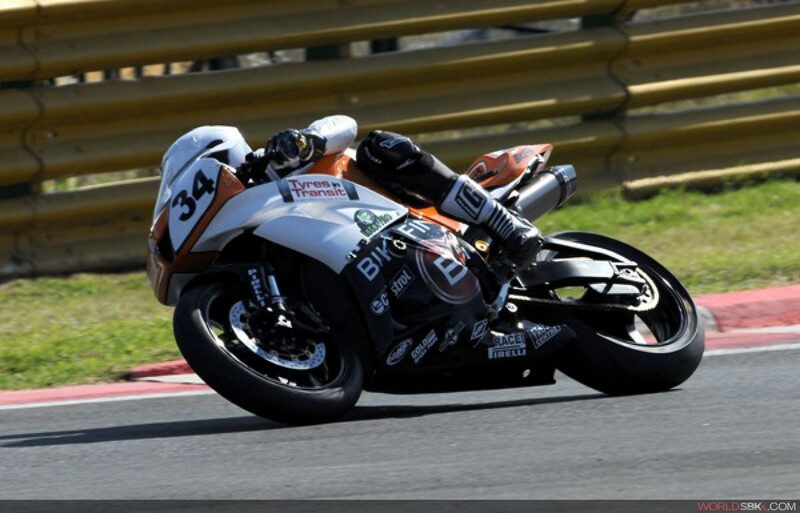 The team has announced that South African Ronan Quarmby will replace Pirro for the Silverstone round. The 19-year-old contested the South African round at Kyalami in May on a Ten Kate-prepared Honda CBR600RR, running in the top ten during free practice and qualifying. Quarmby was unfortunately forced to withdraw from the Kyalami race after a rare bone condition was diagnosed following a scan on his left femur. Following an operation, which included injecting cement into the bone and plating almost the entire length of the femur, Quarmby has fought his way back to fitness and was given a clean bill of health two weeks ago. "I feel very sorry for Michele," said Ronan Quarmby. "I saw the crash at Brno and it looked pretty bad. It's never ideal to get a ride because of another rider's injury and I wish him all the best for a speedy recovery. I'm so excited to get an opportunity to ride for the Ten Kate team, though. Their record speaks for itself and I'm just so grateful to Ronald and the other Ten Kate guys who have helped me. This is just awesome news for me and I can't wait to get back to the UK. After Kyalami I was told I'd be out of action for between six and eighteen months, so I'm completely over the moon to get this chance. I was going to ride at Silverstone in a Superstock race, but that was in 2007 when it was all cancelled because of the rain. Hopefully, the weather will be good this time because I really want to make the most of this opportunity."